Or, at least, that was the stated purpose of the interviews. 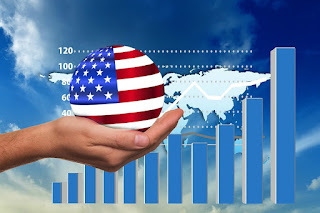 The real reason for conducting the brief studies on the feasibility of the program, however, might actually have been to determine whether or not the general public is ready for the roll-out of the American UID on a nationwide basis in the near future. Regardless, the results of the interviews are quite interesting in their own right, even as they are presented by the USDA. In fact, the USDA is rather open about the lack of success of the programs in terms of fraud reduction. In fact, the report estimates that the finger imaging technologies, at best, detected only 1 case of duplicate applications in every 5,000. With these statements in mind, one would be justified in wondering whether or not the question of multiple participation in food stamp programs is even that serious of a question to begin with. Obviously, the premise of the fingerprinting program is built on the assumption that such fraud is occurring. However, neither the local, state, or federal government can provide any actual numbers or credible evidence of such events at least so far as this report is concerned. Yet, what is more striking than the effects on alleged and supposed cases of fraud is the information relating to the reaction of the general public who were fingerprinted as well as that of the staff doing the fingerprinting. At this point, it should be noted that the state of Illinois has tested retina scanning technology while Massachusetts utilized facial recognition. Of course, one must always take statements made by government agencies pushing an agenda such as biometric identification with a grain of salt, as many of these agencies are notorious for claiming public support for a project merely as a public relations strategy. This means that many agencies, like the TSA for instance, will claim the vast majority of the public is satisfied with the new procedures, thus insisting that those who oppose it are in a distinct and radical minority, which then creates a self-fulfilling prophecy. However, considering the levels to which American culture has sunk in recent years, particularly in the areas of privacy and civil liberties, the fact that fingerprinting for the purpose of receiving food stamps does not excite opposition and rage on the part of the recipients is not surprising either. Indeed, the report posted to the USDA website does not appear to be acting as a propaganda piece. Rather, it's matter-of-fact statement of results from an interview process engaged in between the federal government and the test bed states that have enacted a soon-to-go-national program of fingerprinting for food stamps. Clients do have some concerns about finger imaging. Roughly 15% expressed concerns in the State surveys and interviews conducted to evaluate finger-imaging programs. These concerns center on issues of privacy, unjust treatment of poor people, inconvenience, and fear of inter-agency sharing. Based on the results from client surveys in five States, a substantial majority of clients had no objection to finger imaging and thought it was a good idea. Interviews with former clients in Texas found that only two of the 78 former food stamp recipients (both of whom had refused to be imaged) attributed their loss of benefits to finger imaging. Similar interviews in Los Angeles County found that, of those former clients interviewed, no one who refused to be finger imaged expressed a concern with the process. Interestingly enough, since the USDA report was written and published in December 1999, there has been a move to dismantle some of the fingerprinting programs in place all across the country. In fact, as of 2012, Arizona and New York City are the only locations in the country who mandate that food stamp recipients fingerprint as a part of the application process. Soon, if Gov. Cuomo’s new proposals for the program are able to move forward, Arizona may find itself alone in this regard. However, one would be wise to consider the implementation of these programs in their select locations as nothing more than test projects. Keep in mind, some of the locales not only used fingerprinting technologies but also retinal scans and facial recognition, a technology that has received a massive push forward in recent months via corporations, law enforcement, and the corporate media. With the constant harping by reactionary politicians and “right wing” commentators about social safety net benefits such as food stamps being abused, the push to more accurately identify the recipients and assure that the allegedly rampant fraud is ended is not likely to wane any time soon. Thus, coupled with the official results of fingerprinting programs such as those mentioned above are negligible at best, it is not out of the realm of possibility to see calls for both a tightening and enhancement of fraud-reducing mechanisms to soon be announced. Like in India and Japan, these calls might very well result in the combination of various types of technology and methods of accumulating data. 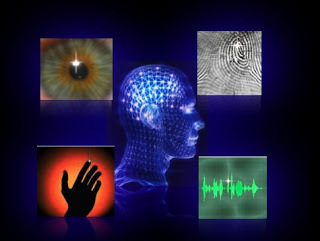 With the record of fingerprinting still out for adequate assessment, the inclusion of facial recognition and retinal scans might then be introduced to work in tandem with social security numbers and other relevant government-data to provide American citizens seeking assistance with their very own Unique Identification Number and identification profile. Although some areas are backing off on their fingerprinting schemes, we cannot be lulled into complacency or into the belief that biometric identification techniques on the national scale are beginning to fade. In fact, the opposite is actually the case. While some states and cities are apparently dismantling their fingerprinting systems for access to food stamps, the fact is that the biometric identification aspect will undoubtedly reappear. Unfortunately, when it does, it will almost assuredly be unveiled in a much more advanced and all-encompassing form. By then, the concept of biometric identification will have had plenty of time to gradually become more accepted in the minds of the general public. Thus, it is paramount that those of us who are aware of the potential for this program to return to take advantage of the small window of opportunity we have been presented with in order to mount some manner of opposition.